Speaking at The CW portion of the Television Critics Association press tour, CW President Mark Pedowitz talked about how easy it was to make that choice. “Peter Roth and I had one quick discussion about it. It was easy. I wanted to be in business with Salim [Akil] and Mara [Brock Akil]. I wanted to be in business with them for a long time. Mara, particularly, I tried to recruit her when I was at ABC Studios. I’m a huge fan of her work. I think they’re going to bring a perception and a point of view that we do not have at our other superhero shows, and I’m looking forward to it,” Pedowitz said. 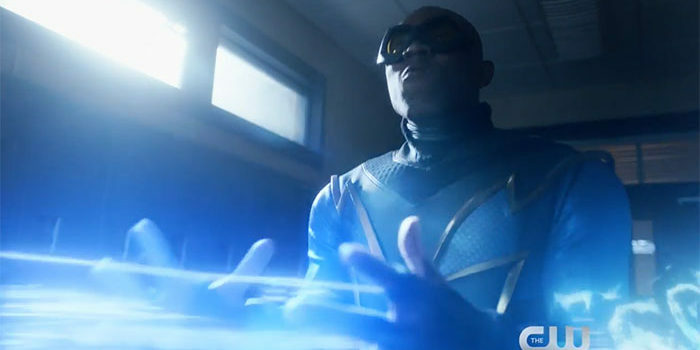 Based on the character created by Tony Isabella with Trevor von Eeden, Black Lightning premieres at midseason on The CW.